Spend 38,00 € more and get Free Shipping! The most sold vaping devices and e-liquids in our store. The most demanded by vapers. With any of them you will not go wrong! Bebeca - Atmos LabUndoubtedly the greatest success of AtmosLab, Bebeca is an ultra soft flavored tobacco. BEBECA Eliquid 50ml FILL IT (BOOSTER) - Atmos Lab in SpainUndoubtedly the greatest hit of AtmosLab, Bebeca stands out for the union of tobacco and caramel. BEBECA Booster format available to buy in your vaper store in Spain. DON JUAN RESERVE 100ml (BOOSTER) - KINGS CREST eliquids:Your favorite eliquid now in 100ml! DON JUAN RESERVE KINGS CREST e-liquid available for purchase at your vaping store in Spain. DON JUAN RESERVE 50ml (BOOSTER) - KINGS CREST eliquids:Mix Series: Delicious walnut cake and milk chocolate, with vanilla ice cream and finished with a touch of coconut milk. DON JUAN RESERVE KINGS CREST e-liquid available for purchase at your vaping store in Spain. Gin's Addiction 2x10ml by Halcyon HazeWhite gin, natural blackcurrant, absinthe, lemon and mint and menthol in a perfect fusion. Good throat hit with a sweet vapor, which leaves a pleasant tingling sensation on the tongue. GIN'S ADDICTION 10 ml Aroma - Halcyon HazeGIN'S ADDICTION - Halcyon Haze: makes a fantastic e-liquid of white gin, currant, absinthe, lemon and mint with the most famous aroma. GIN'S ADDICTION: Available to buy in your vaping shop in Europe and Spain. EXCEED D19 Kit 1500mAh + 2 ml by JoyetechSmall, powerful and versatile both for vaping to mouth and direct to lung. EXCEED D19 available for purchase here, in your professional vaping shop. eGo AIO Kit - 1500 mAh + 2 ml by JoyetechThe new generation is here: device "All in One" with Cubis technology.Available for purchase at VapVip, your professional vaping shop in Europe. SMOK NOVO POD Kit by SmokInnovation continues to change the vaping experience. 450 mAh and 2 ml capacity. SMOK NOVO POD available to buy in the best vaping shop in Europe. SMOK NORD POD Kit by SmokSMOK NORD POD Kit: a kit that takes the vapeo beyond your imagination. 1100 mAh and 2 ml capacity. SMOK NORD POD available to buy in the best vaping shop in Europe. TEROS AIO Pod Kit 480mAh - JoyetechA really small, elegant and simple vaper pod. TEROS AIO Pod available to buy in your professional vaping shop in Europe. Sweet tobacco "RY4 Pleasure" e-liquid - Suprem-e eliquids:RY4 Pleasure: Liquid for vaping of a selection of sweets and long tobacco flavors that never tired. RY4 Pleasure: available in Vapvip, your professional vaping shop in Europe and Spain. Widowmaker RDA by El Mono Vapeador - Vandy VapeWidowmaker: A very versatile RDA with multiple configurations. Designed by El Mono Vapeador and Vandy Vape and available to buy at your vaping store in Europe. TRIBECA Shake 'n' Vape by Halo - E-liquid in BOOSTER 50ml format in Spain:The world's best selling soft and slightly sweetened tobacco flavor in a more economical and practical format. TRIBECA Shake 'n' Vape SERIES with 0mg of nicotine, available to buy in your vaping shop in Europe. Fausto's Deal 10ml & 30ml by Drops e-liquidDrops Signature Series range. A selection of the best tobaccos, wisely mixed with just the right touch of sweetness. Fausto's Deal e-liquid 50ml (BOOSTER) by DropsRemembering the best RY4: selection of the best tobaccos, with the right touch of sweetness. Fausto's Deal in your vaper store in Spain. LEMON TART Eliquid 50ml (BOOSTER) - Dinner Lady in SpainLemon and meringue tart, covered with a thin layer of puff pastry. LEMON TART BOOSTER e-liquid available for purchase at your best vaping store in Spain. We're sorry, but we can not make international shipments of these bases. NicoKit: ReaDIY 10ml 20mg/ml Nico-Booster:NicoKit with20mg/ml of nicotine to add nicotine to your base or liquid Booster. NicoKit ReaDIY, available to buy in your vaping shop in Spain. NicoKit: Just Nic It 10ml 18mg/ml Booster:NicoKit with 18mg of nicotine to add nicotine to your base or liquid Booster. Just Nic It, available to buy in your vaping shop in Spain. NicoKit: NICOTINE SALT Just Nic It High VG 10ml 20mg/ml Booster:NicoKit NICOTINE SALT: softer throat stroke and faster diffusion of nicotine Just Nic It, available to buy in your vaping shop in Spain. PURE e-liquid - Suprem-e eliquids:PURE: Liquid for vaping with strong flavor, perfect combination of natural tobacco worldwide. Our best-selling tobacco taste. PURE available in Vapvip, your professional vaping shop in Europe and Spain. HEISENBERG eliquid KONCEPT XIX 50ML (BOOSTER) - Vampire Vape in SpainThe best seller of Vampire Vape that stands out for the union of freshness and sweetness. Shades of red fruits with a cold blow of menthol and anise. HEISENBERG KONCEPT XIX 50ML (BOOSTER) e-liquid available for purchase at your vaping store in Spain. New model 2016: 1ud. Battery Sony VTC6 3120mAh - 30A US18650VTC6Sony Konion VTC6: Rated as the best 3000mAh battery market. With impressive 3120mAh (3000mAh real in our measurements). Sony Konion VTC6 available to buy here, in your professional vaping store in Europe. 1 piece Efest Purple 35A 3000mAh 18650 BatteryNew modelThe higher capacity 18650 35A battery. Best price in Europe. 1 pc. Atomizer Head Coils TFV8 BABY Beast by SmokV8 Baby-Q2, V8 Baby M2, V8 Baby Q4, V8 Baby T6, V8 Baby T8, V8 Baby X4, V8 Baby T12, V8 Baby Strip, V8 Baby Mesh, V8 Baby Q2 EU, V8 Baby T8 EU and V8 Baby RBA. V8 BABY Beast Atomizer Heads available for purchase here, in your professional vaping shop. Atomizer Heads EX Series Exceed by JoyetechCompatible with all EXCEED atomizers, including Exceed D19, D22C and Exceed Edge (1,2ohm) EX Coil 0.5ohm DL. y EX Coil 1.2ohm MTL. : Available for purchase in Europe. Apache - Atmos LabA success of AtmosLab in tobacco flavors. APACHE is a very mild taste of authentic tobacco, giving a very pleasant taste in the mouth for vaping daily. APACHE Eliquid 50ml FILL IT (BOOSTER) - Atmos Lab in SpainTaste of authentic blond tobacco, with end of toasted nuts. APACHE Booster format available to buy in your vaper store in Spain. American Luxury 10ml & 30ml by Drops e-liquidAromatic blend of the best tobacco leaves with notes of caramel, biscuit and coffee. A solid throat hit and a complex association of flavours make it a perfect liquid for those looking for the feel of a true analogue cigarette. American Luxury e-liquid 50ml (BOOSTER) by DropsAromatic blend of the best tobacco leaves with notes of caramel, biscuit and coffee. If you want to feel satisfied after a coffee and remmeber your old analogics cigarettes this is your choice. Atomizer Heads BF CUBIS - eGo AIO by Joyetech:You can choose BF-SS316 0.5 ohm, 0.6 ohm or 1.0 ohm, Ni200 0,2 ohm and BF-Clapton Coil 1.5 ohm depending on your vaping way. Available for purchase at VapVip, your professional vaping shop in Europe. Atomizer Heads ProC-BF BFL Cubis 2 CuAIO by JoyetechProC-BF compatible with CUBIS 2, CuAIO, CUBIS, CUBIS Pro, eVic AIO, Elitar and all eGo AIO ProC-BF BFL 0.5ohm, 0.6ohm, 1.0 ohm y 1.5 ohm: Available for purchase in Europe. Nutacco - Atmos LabAnother success of Atmos Lab. NUTACCO is a fantastic taste of tobacco, very similar to the popular Halo Prime15. NUTACCO Eliquid 50ml FILL IT (BOOSTER) - Atmos Lab in SpainVery mild tobacco flavor with a long-lasting aftertaste of toasted nuts and a very light cocoa point. NUTACCO Booster format available to buy in your vaper store in Spain. NUTACCO (Nutaco) Flavor - Atmos Lab in EuropeNow you can make one of the better known e-liquid of this brand. Strong snuff flavored with toasted nuts. FLAVOR Tribeca Concentrate by Halo:At last the original aroma of the best selling liquid in the world. Tribeca Flavor available to buy in your electronic cigarette store and vaping in Europe. Route 66 10ml & 30ml by Drops e-liquidOnly suitable for adults, not a topic. You’ll feel a hard steam blow of the best selection of aromatic tobacco, absolute of virginia tobacco and an exclusive recipe of nuts hints. If you want to feel satisfied after a coffee and remmeber your old analogics cigarettes this is your choice. Route 66 e-liquid 50ml (BOOSTER) by DropsOnly suitable for adults, not a topic. You’ll feel a hard steam blow of the best selection of aromatic tobacco, absolute of virginia tobacco and an exclusive recipe of nuts hints. If you want to feel satisfied after a coffee and remmeber your old analogics cigarettes this is your choice. GOLD & SILVER E-liquid 10ml by Diamond Mist in SpainGOLD & SILVER: Your favorite cigarettes with the softness and taste of the best blond tobacco. GOLD & SILVER by Diamond Mist is available in Vapvip, your professional vaping shop in Europe and Spain. Nic Salt GOLD & SILVER Nicotine salts Eliquid 10ml by Diamond Mist in SpainGOLD & SILVER: Your favorite cigarettes with the softness and taste of the best blond tobacco. GOLD & SILVER Salted by Diamond Mist is available in Vapvip, your professional vaping shop in Europe and Spain. Don Juan Reserve - by Kings Crest in Spain:Enjoy the best aroma of cream, coconut, chocolate and pecan nuts mixed in a masterful way. Available to buy in your vaping shop in Spain. BALIQUE e-liquid - Suprem-e eliquids:BALIQUE: Liquid for vaping with a taste slick combining forest fruits and watermelon. A great mix that will produce an unsurpassed freshness BALIQUE available in Vapvip, your professional vaping shop in Europe and Spain. VIRTUAL MIX E-liquid 50ml (BOOSTER) -Corona Brothers Eliquids Europe:Refreshing mix of melon with a touch of watermelon, topped with an impressive mango flavor. VIRTUAL MIX Corona Brothers MIX SERIES 0mg nicotine, available for purchase at your vaping store in Spain. EXCEED BOX Kit 3000mAh + EXCEED D22C by JoyetechNow with both vaping to mouth and direct to lung. EXCEED BOX available for purchase here, in your professional vaping shop. Vaporesso REVENGER X 220W + NRG Tank 2ml Full Kit by VaporessoAn ultramodern kit with an incredible aesthetic. Vaporesso REVENGER X Full Kit by Vaporesso available to buy in your best Vaping store in Europe. Essential products, that everything Vaper should have. Building Mat: Vaping Pad:Pad to perform comfortably all DIY vaping jobs. Available to buy in Europe. Black Silicone Protector Ring 21-25mm Atomizers:Protect with this band the glass of your atomizer from falls and blows. Extra wide. Available to buy in Europe. Silicone Ring 21-25mm for Atomizer or BatteryProtect your glass atomizer blows or falls and improves grip your battery. Silicone Ring available for purchase here, in your professional vaping shop. Silicone Ring 14-20mm for AIO, Atomizer or BatteryFacilitates transport, protect your equipment blows or falls and improves grip. Silicone Ring available for purchase here, in your professional vaping shop. Necklace Universal Lanyard Ring for AIO - eGo ONE 13-22mmWith extensible silicone ring, valid for devices from 13 to 22 mm You can buy it here, at the cheapest vaping store in Europe. 510 Atomizers Stand:510 thread aluminium stand made for atomizers. Perfect to store your atomizers in vertical position. The stand can also be used to stabilize your atomizer to build your coils. Vape Bag: Vaping Double BagTo protect and carry on the trip what you need to vape All ordered and protected in a single double case. In your vaping shop in Europe. Case EGO ZIPPERTo protect and always carry with you your electronic cigarette and everything you need to vape. Available in your vaper store in Europe. Zipper Case Cover UniKase Size L by FumytechEverything tidy and protected into a single case with infinite possibilities placement.To protect and carry around everything you need to vaping. In your vaping shop in Europe. Zipper Case Cover UniKase Size L by FumytechEverything tidy and protected into a single case with infinite possibilities placement. To protect and carry around everything you need to vaping. In your vaping shop in Europe. Case Cover UniKase XL by FumytechTo protect and carry around everything you need to vaping. Everything tidy and protected into a single case with infinite possibilities placement. In your vaping shop in Europe. Multifunctional Display Stand by VapesoonSupport adaptable to order all your vaping equipment. Available for purchase here, in your professional vaping shop. Nitecore NFF01: Liquid Mixer for e-liquids:You can accelerate the maceration of your e-liquids. With temperature controlled function up to 70ºC. Available to buy in your vaping shop in Europe. Brush Coil Vapjoy: RBA Coils cleaning toolSteel brush to easily clean your coils. Available for purchase here, in your professional vaping shop. Cotton Hook made of Steel 420 by YoudeAccessory for comfortably position the cotton in your repairable atomizers. Very comfortable, with a curved tip and a flat, to seat perfectly your setup. 1 pc. Adapter Drip Tip 810 to 510:Allows you to use a standard 510 nozzle in your 810 atomizers (TFV8, TFV12, Kennedy, Goon, Ammit 25 ...) Adapter 810/510 here in VapVip, your professional vaping shop in Europe. Silicone Protector Battery 18650: Protection and transportationIn Europe and with the best price. Protect your battery and transport it safely. Silicone Protector Battery 20700 / 21700: Protection and transportationIn Europe and with the best price. Protect your battery and transport it safely. Silicone Protector Battery 26650: Protection and transportationIn Europe and with the best price. Protect your battery 26650 and transport it safely. Protection and transportation Case for 1 battery 18650In Europe and with the best price. Protect your batteries 18650 and transport it safely. Protection and transportation Case for 2 batteries 18650 or 4 batteries 18350In Europe and with the best price. Protect your batteries and transport it safely. Protection and transportation Case for 2 batteries 20700 or 21700In Europe and with the best price. Protect your batteries and transport it safely. Protection and transportation Case for 2 batteries 18350In Europe and with the best price. Protect your 18350 batteries and transport it safely. Shrinkable Tube Wrap for 18650 Batteries (pack of 5)To replace the outer insulation of your battery. Available for purchase here, in your professional vaping shop. Insulating Positive Pole for 18650 Batteries (pack of 10)To replace the insulation of the positive pole of your battery. Available for purchase here, in your professional vaping shop. RC Adapter Reverse Charging - Avatar by JoyetechYou can use it as a power bank to charge your electronic devices. Available for purchase at VapVip, your professional vaping shop in Europe. Micro USB Cable for Mod by Eleaf Original Cable for your mod manufactured by Joyetech. Zippo style eliquid Bottle Refiller 30ml:You can easily fill your atomizers with e-liquid. No leaks. 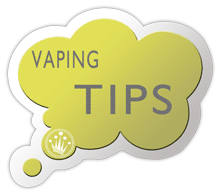 Eliquid Bottle 10ml:Long tip for a comfortable refill of your atomizers. No leakage. Eliquid Bottle 10ml available for purchase at VapVip, your professional vaping shop in Europe. Needle nose bottle of different capacities: 5ml, 10ml, 20ml, 30ml and 50ml:You can easily fill in your e-fluid atomizers with its needle peak. No leakage through the silicone plug. Unicorn Eliquid Bottle Refiller of different capacities: 20ml, 30ml and 50ml:You can easily fill in your e-fluid atomizers. No leakage. Unicorn Eliquid Bottle Refiller 60ml - 100ml - 120ml:For a comfortable refill of your atomizers. No leakage. CHUBBY GORILLA Unicorn available for purchase at VapVip, your professional vaping shop in Europe. 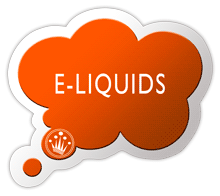 Empty E-liquid Bottle 100ml:For mixing your eliquids and fill your atomizer directly. No leakage. Empty graduated bottle for 110ml - 250ml e liquid:Twist Graduated Bottle without leaks to mix your vapour liquids 110ml - 250ml Available in your vaper store in Spain. SKULL Glass bottle for eliquid 30ml:Ideal for your most special liquid. Crystal skull bottle available for purchase at VapVip, your professional vaping shop in Europe. Pasteur pipette 3ml calibrated:Made of low density polyethylene Very useful for making your e-liquids thanks to its wide tip enough to flow glycerin. Kayfun PRIME 4.5ml TANK EXTENSION KIT by Eycotech:Increase the capacity of your Kayfun Prime from 2ml to 4.5ml. Built in stainless steel and pyrex. Available to buy in your vaping store in Europe. Kayfun PRIME Spares Kit by Eycotech:Kit o-rings and screws for your Kayfun Prime. Includes mini screwdriver. Available to buy in your vaping store in Europe. Diagonal Wire CuttersWith these diagonal cutting pliers you can easily cut the Kanthal or Nichrome to make your resistances. Diagonal cutting pliers are suitable for cutting soft wires, ideal for vapers. Mini Diagonal Cutting Pliers by UD YoudeMini diagonal cutting pliers to cut easily Kanthal or any cable to make your resistors. These pliers mini diagonal cutters are suitable for cutting soft wire, ideal for vapers. Free Poster "Prohibido Fumar / Permitimos Vapear"
Ohms Meter ohmmeter and battery voltage by EleafMeasures your ohm resistors and voltage of your battery with this handy meter. You can use it as a support for mounting your resistances and check immediately if they are to your liking. You can buy it here, at the best store of electronic cigarettes and vaping with cheapest prices in Europe. PilotVape Coil Magician Mini Tab Ohm meterTest the ohms and check your resistors completely safely. Protect your MOD by testing resistors while manufacturing. GeekVape Tab Pro ohm meter in EuropeOhm reader, construction base, ignition test and even temporary MOD. Protect your MOD, testing the coil while you you make them. Scissors Stainless steel idela for vapingStainless steel scissors for cutting cotton coils. Precise and clean cut. Micro coils perfect effortlesslyMicrocoils maker is the perfect accessory for your repairable atomizers. Very easy to handle, build your micro coils of various diameters, faster and easier. You can buy it here at the best store of electronic cigarettes and vaping up the cheapest price in Spain. Micro coils perfect effortlessly, now with integrated phillips screwdriverMicrocoils maker is the perfect accessory for your repairable atomizers. Very easy to handle, build your micro coils of various diameters, faster and easier. You can buy it here at the best store of electronic cigarettes and vaping up the cheapest price in Spain. Vetus Tweezers ESD-13: Absolute precision and antacid treatment Do not waste time and money with cheap tweezers that bend or break when you can use some of the best market tweezers an unbeatable price. Tweezers Curved ESD-15 Black Curved Tip 115mm:Absolute precision and antacid treatment. Curved tweezers that facilitate the placement of the cotton in the manufacture of your resistors. Ceramic tipped tweezersThe tip of these tweezers, made of ceramic, can withstand high temperatures and are not electrically conductive. You can hold your resistance and heat it simultaneously without causing short circuits. Ceramic Tweezer V8: Ceramic tipped and tools for tightening or loosening atomizers and coils.Made Nylon with ceramic tip, support high temperatures and are not electrically conductive, so can hold your resistor and heat it simultaneously. Available in your vaping store of Europe. Multifunction ceramic tipped tweezers by GeekVapeMade Nylon with ceramic tip, support high temperatures and are not electrically conductive, so can hold your coil and heat it simultaneously. Available in your vaping store of Europe. Griffin hexagonal screws parts by Geek Vape5 spare screws for your atomizer Griffin.Available for purchase at VapVip, your professional vaping shop in Europe. Needle 16G - blunt tip ideal for VapingVery useful for making your e-liquids with its 16G (1.2 mm inside diameter) blunt needle, enough to flow glycerin without difficulty. iStick NOWOS 4400mAh + ELLO DURO Full Kit by EleafiStick NOWOS: ultra elegant, minimalist and 100% tactile design, with an incredible power capable of offering you an exclusive vaping experience. iStick NOWOS available to buy at your vaper store in Spain. iStick NOWOS MOD by EleafEnjoy maximum comfort and power with a sophisticated elegant mod. iStick NOWOS MOD available to buy in your vaping shop in Spain. Vaporesso LUXE Nano 80W KIT + SKRR-S Full Kit by VaporessoNano LUXE is a full kit that combines elegance with bestial power. Nano LUXE 80W available to buy in your best Vaping store in Europe and Spain. MAG Baby 50W 1600mAh + TFV12 Baby Prince Kit by SmokMAG Baby is a hand kit that combines power and comfort to provide the best vaping experience. MAG Baby Kit available to buy in your vaping shop in Spain. Mag Grip 85W + TFV-Mini V2 KIT by SmokMAG Grip is a handy Kit with which you will enjoy an impressive appearance and great performance. MAG Grip Kit available to buy in your vaping shop in Spain. OBS Engine MTL RTA Atomizer by OBSOBS Engine MTL RTA is designed for all those who give mouth-lung puffs and want to do it with quality and ease. OBS Engine MTL RTA, available to buy in your vaping shop in Europe. LEMON Granola Bar E-liquid 50ml (BOOSTER) - Yogi Juice in SpainLEMON Granola Bar is a delicious e-liquid made with the best cereal bars, fresh lemons and honey. LEMON Granola Bar by Yogi Juice available to buy at the best price in your vaping shop in Spain. VANILLA TOBACCO Granola Bar E-liquid 50ml (BOOSTER) - Yogi Juice in SpainVANILLA TOBACCO Granola Bar is a delicious e-liquid made with the best cereal bars, tobacco and vanilla. VANILLA TOBACCO Granola Bar by Yogi Juice available to buy at the best price in your vaping shop in Spain. COOKIE TWIST Strawberry Honey Graham E-liquido 50ml (BOOSTER) - Twist Eliquids Spain:STRAWBERRY HONEY GRAHAM is a delicious cookie with strawberry and honey jam. STRAWBERRY HONEY GRAHAM BOOSTER Mix Series format, available for purchase in your Spain vaping shop. TOBACCO TRAIL e-liquid 50ml (BOOSTER) - CUTWOOD Eliquids in Europe and SpainTOBACCO TRAIL is a combination of several sweet tobaccos with a hint of honey. TOBACCO TRAIL e-liquid available for purchase at your best vaping store in Europe and Spain. BOSS RESERVE e-liquid 50ml (BOOSTER) - CUTWOOD Eliquids in Europe and SpainBOSS RESERVE is a delicious eliquid of graham crackers with honey, nuts, milk and banana. BOSS RESERVE e-liquid available for purchase at your best vaping store in Europe and Spain. MR. FRITTER e-liquid 50ml (BOOSTER) - CUTWOOD Eliquids in Europe and SpainMR. FRITTER is a sweet e-liquid of fried cake with touches of cinnamon and apple. MR. FRITTER e-liquid available for purchase at your best vaping store in Europe and Spain. AROMA VALKYRIE CONCENTRATED - A&L Flavors in Europe and SpainAROMA VALKYRIE CONCENTRATED raspberry in a very refreshing concentrate to make your own e-liquids. AROMA VALKYRIE CONCENTRATED available to buy in Vapvip, your vaping shop in Spain. AROMA VALKYRIE ZERO CONCENTRATED - A&L Flavors in Europe and SpainAROMA VALKYRIE ZERO CONCENTRATED Raspberry and red fruits without ice or colorings to make your own e-liquids. AROMA VALKYRIE ZERO CONCENTRATED available to buy in Vapvip, your vaping shop in Spain. AROMA RAGNAROK CONCENTRATED - A&L Flavors in Europe and SpainAROMA RAGNAROK CONCENTRATED efreshing red fruit aroma to make your own e-liquids. AROMA RAGNAROK CONCENTRATED available to buy in Vapvip, your vaping shop in Spain. AROMA RAGNAROK ZERO CONCENTRATED - A&L Flavors in Europe and SpainAROMA RAGNAROK ZERO CONCENTRATED Ragnarock aroma without ice or colorants, to make your own e-liquids. AROMA RAGNAROK ZERO CONCENTRATED available to buy in Vapvip, your vaping shop in Spain. AROMA ONI CONCENTRATED - A&L Flavors in Europe and SpainAROMA ONI CONCENTRATED frosty citrus explosive mix to make your own e-liquids. AROMA ONI CONCENTRATED available to buy in Vapvip, your vaping shop in Spain. AROMA ONI ZERO CONCENTRATED - A&L Flavors in Europe and SpainAROMA ONI ZERO CONCENTRATED The tastiest citrus without ice or color to make your own e-liquids. AROMA ONI ZERO CONCENTRATED available to buy in Vapvip, your vaping shop in Spain. CAFÉ CON CARAMELO E-liquid 50ml (BOOSTER) by Bombo in Europe:COFFEE WITH CARAMEL: harmonious blend of freshly ground coffee and delicious caramel with a slight salty point that contrasts with the balanced sweetness. COFFEE WITH CARAMEL MIX SERIES 0mg nicotine, available at best price in your vaping store in Spain. TEXAS (Dry tobacco) - by Atmos Lab in Spain:A dry tobacco with an American flavor with a mild aroma. Available to buy in your vaping shop in Spain. LYCHEE - by Atmos Lab in Spain:A strong oriental flavor, full of floral notes and a sweet and characteristic aftertaste of this fruit. Available to buy in your vaping shop in Spain. AROMA RYAN USA CONCENTRATED - A&L Flavors in Europe and SpainAROMA RYAN USA CONCENTRATED flavor to make your own e-liquids. AROMA RYAN USA CONCENTRATED available to buy in Vapvip, your vaping shop in Spain. AROMA RYAN USA LIMITED CONCENTRATED - A&L Flavors in Europe and SpainAROMA RYAN USA LIMITED CONCENTRATED flavor to make your own e-liquids. AROMA RYAN USA LIMITED CONCENTRATED available to buy in Vapvip, your vaping shop in Spain. GOLDEN HONEY BOMB - Honey Twist E-liquido 50ml (BOOSTER) - Twist Eliquids Spain:GOLDEN HONEY BOMB It is a honey bomb with a light touch of creamy milk. GOLDEN HONEY BOMB BOOSTER Mix Series format, available for purchase in your Spain vaping shop. Nic Salt BUBBLEGUM DRUMSTICK E-liquid 10ml - Strapped in Spain:Nic Salt BUBBLEGUM DRUMSTICK It is an e-liquid of delicious chewing gum with sugar that explodes in your mouth with thousands of tuttifruti nuances.Nic Salt BUBBLEGUM DRUMSTICK, available to buy in your vaping shop in Europe and Spain. Nic SaltSOUR RAINBOW CANDY E-liquid 10ml - Strapped in Spain:Nic Salt SOUR RAINBOW CANDY is an e-liquid of delicious multi-colored sour jellybeans.Nic Salt SOUR RAINBOW CANDY, available to buy in your vaping shop in Europe and Spain. FIZZY CHERRY COLA BOTTLES E-liquid 50ml (BOOSTER) - Double Drip E-Liquids Spain:FIZZY CHERRY COLA BOTTLES: juicy cherries and cola gummies. FIZZY CHERRY COLA BOTTLES BOOSTER Mix Series format, available for purchase in your vaping shop in Spain. SUPER BERRY SHERBET E-liquid 50ml (BOOSTER) - Double Drip E-Liquids Spain:SUPER BERRY SHERBET: mix of red fruits with delicious sorbet and sprinkled sugar. SUPER BERRY SHERBET BOOSTER Mix Series format, available for purchase in your vaping shop in Spain. MANGO RASPBERRY ICE CREAM E-liquid 50ml (BOOSTER) - Double Drip E-Liquids Spain:MANGO RASPBERRY ICE CREAM: combination of mango and raspberries covered with vanilla ice cream. MANGO RASPBERRY ICE CREAM BOOSTER Mix Series format, available for purchase in your vaping shop in Spain. AMMIT MTL RDA Atomizer - GeekvapeAMMIT MTL RDA by Geekvape is a new MTL RDA atomizer with three-dimensional airflow to maximize taste and always leak-proof. Enjoy the 12 options of adjusting the air flow. AMMIT MTL RDA, available to buy in your vaping shop in Europe. LIT RDA Atomizer - Vandy VapeLIT RDA Vandy Vape: you can build your coil as you want: horizontal, vertical or with mesh. LIT RDA Atomizer, available to buy in your vaping shop in Europe. BTFC RDA Atomizer - AugVapeBTFC RDA: Collaboration project between AugVape and Vapnfagan. BTFC RDA Atomizer, available to buy in your vaping shop in Europe. RESA Stick Kit 2000mAh by Smok:Impressive design in resin with fantastic performance. RESA Stick Vaper Kit, available to buy here, in your professional vaping store in Europe. Eleaf iStick KIYA 50W + GS Juni Full Kit by EleafTiny mod with internal battery of 1600mAh and 50W of power and a huge screen. iStick KIYA available to buy in your best Vape Store in Europe. eGo AIO D22 Kit - 1500 mAh + 2 ml by JoyetechNew design with 22 mm diameter and 12 mm shorter than the AIO 19mm, keeping all its amazing features. Available for purchase at VapVip, your professional vaping shop in Europe. eGo AIO BOX: 2100mAh + 2 ml by JoyetechBOX MOD design with greater capacity, keeping all the incredible performance of the AIO. Available for purchase at your professional vaping shop in Europe. eGo AIO ProBox - 2100 mAh + 2 ml by JoyetechIncreasing the incredible performance of the AIO with the possibility of selecting the power mode. eGo AIO ProBox available for purchase at your professional vaping shop in Europe. iCare 2 - Starter Kit 650mAh - EleafThe ultra compact by Eleaf, now with push button, removable tank and top filling more comfortable. iCare2 available for purchase at your professional vaping shop in Europe. Kit CuAIO D22 - 2ml EU by Joyetech2017 redesign of fantastic eGo AIO with a smaller size and important improvements. Flip top filling type tap sliding and greater accuracy of the air inlets. Kit CuAIO D22, available for purchase here, in your professional vaping shop in Europe. CUBIS PRO Mini 2 ml Atomizer by JoyetechCubis PRO atomizer MINI version. CUBIS PRO Mini available for purchase here, in your professional vaping shop. TFV8 BABY EU 2ml Baby Beast Atomizer by SmokSmaller, with new coils and with redesigned air and liquid ports. TFV8 Baby Beast available for purchase here, in your professional vaping shop. ASTER TC 75W Mod by EleafVery ergonomic and plus: 75W, 18650 battery, temperature control, upgradeable firmware...Available to buy in your best Vaping Store in Europe. iStick PICO 25 85W MOD by EleafThe best seller iStick Pico renovated and improved: large screen and compatible with atomizers up to 25mm. iStick PICO 25 available to buy in your best Vaping store in Europe. iStick PICO 25 85W + ELLO 18650 Full Kit by EleafThe best seller iStick Pico 25 with the new atomizer ELLO 25mm. iStick PICO 25 + ELLO available to buy in your best Vaping store in Europe. iStick PICO 21700 100W + ELLO Full Kit by EleafThe iStick Pico now with 100W and with the new ELLO atomizer of 25mm. Includes 1 AVB 21700 4000mAh battery iStick PICO 21700 available to buy in your vaping shop in Europe. iStick PICO TC 75W + MELO 3 Mini Full Kit by EleafThe smallest MOD with the latest atomizer Melo 3 Mini. A great combination in an incredible size. Available to buy in your best Vaping Store in Europe. iStick PICO TC 75W Express Kit Box Mod by Eleaf The smaller MOD with 18650 battery. Six operating modes, upgradeable firmware, 75W, buttons lower... in an incredible size. Available to buy in your best Vaping Store in Europe. Melo 3 Mini Atomizer by Eleaf Significant improvements in the top filling and hidden air flow. 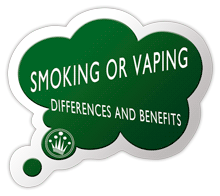 Complies with the new European directive for tobacco products (TPD) Available to buy in your best Vaping Store in Europe. Atomizer Heads QCS BF Cubis - Cubis Pro Semirebuildable by JoyetechhIt allows to replace cotton quickly and easily when it is exhausted. Resistor Notch Coil 0.25 ohm. Available for purchase at VapVip, your professional vaping shop in Europe. UNIMAX 22 2200mAh + 2 ml Full Kit by JoyetechThe new Joyetech mini device in 2017. 2200 mAh and 2 ml capacity. UNIMAX available to buy in your best Vape Store in Europe. You choose the shipping method: 24h express delivery by DHL Courier or economic shipping by Post. 5 STARS SERVICE Our team goal is your satisfaction, that simple: NO SURPRISES IN YOUR PURCHASE! Security and flexibility in your payments: We accept payment by credit card, PayPal or Bank Transfer. Personalised advice: Send us a message with your questions and we will try to solve your doubts. Only for over 18 years old. IF YOU ARE OLDER 18, AND AGREE ALL THESE CONDITIONS CLOSE THIS WINDOW.